After the rain of last year is was great to see some sunshine for 2014 and with the new class structure the show had one of its best attendances yet. The show still needs some more trade stands but for those who attended the events on offer were pretty impressive, drift shows, stunt shows and try your own hand at drifting were all popular. This year the trade show show was a little bigger but of course the club stands were the best bit with a good turn our from the BMW Car Club and numerous on line web clubs, great to see such a variety. The main events were the Bilstein handling course and the dragstrip. The handling course, sponsored by Bilstein, was pretty tight with one longish straight followed by a couple of sweeping corners, a roundabout and then a few very tight turns, it was ‘busy’ and certainly tested the cars suspension abilities as well as tyres, a good time was under 40 seconds with the fastest time of the day winning a full suspension kit from Bilstein. The majority of the entrants were in 3 Series or M Sport cars but there were prizes for every class so we chucked the X5M around for a laugh, was great fun. Winner on the day was Ronald Bitmanis in his E30 325 Sport which won him a full suspension kit from Bilstein and remap from us. Then onto the main event, the drag strip. This we the classes were separated into the different BMW models, this generated a little confusion in some of the entries (we had an F10 M5 enter as an M Sport car normally aspirated for example) but generally the classes worked well. With the overall winner of fastest BMW on the day being Paul Bareham in his Three Series V8 which won him a brake upgrade from Performance Friction and a remap from us as well as the title of Performance BMW Magazine Fastest BMW award. We had a bit of fun as well seeing how our modified X5M compared with our track E92 M3, the X5M has 600bhp and AWD but it 2700kg, the M3 has the lower weight of 1600kg but only 450bhp. Well the X5M trounced the M3 three out of three, not helped by my inability to launch it very well but even on the one time I did get a good start the X5M was just too powerful and got the power down just too well, was great fun though. Next year the plan is for more of the same, a bigger and better handling course, same BMW classes and more trade stands, should be fun. 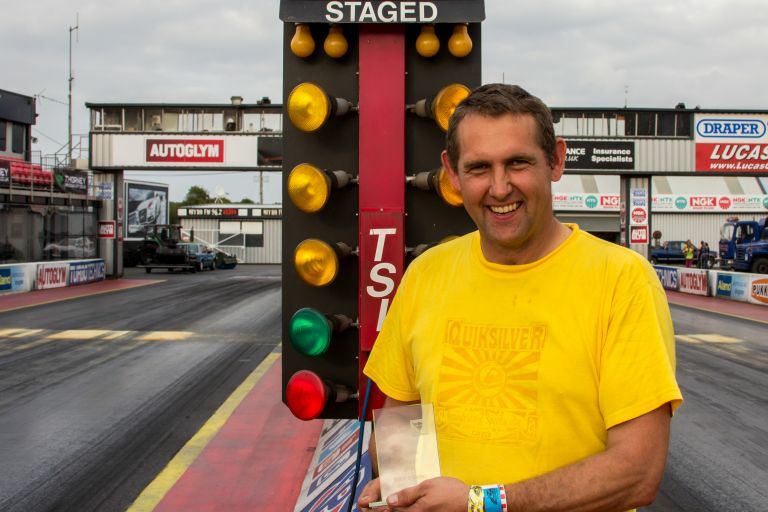 Of course thanks to the shows sponsors on the day, Bilstein for the help in creating and running the handling circuit and Performance Friction Brakes for the Drag Strip.